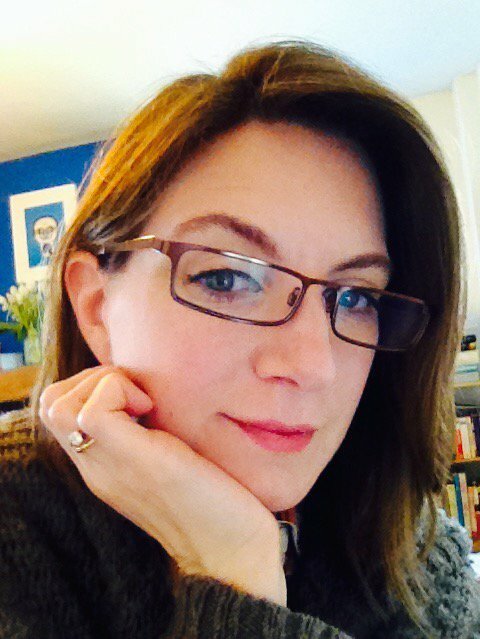 I was honoured and delighted two days ago to open my email inbox and see that award winning author, Annabel Pitcher, had answered my interview questions (Many thanks to the lovely Nina for getting my interview through to Annabel)!! 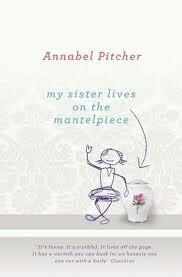 Annabel Pitcher has written two amazing novels: her debut ‘My sister lives on the mantelpiece’ and ‘ketchup clouds’ which was released last month. How do you come up with such brilliant story-lines? Do you take inspiration from the news, or life around you etc.? I think it depends on the book, to be honest. Every novel is different. For my first book, I watched a film called United 93 about the terrorist attacks in New York on September 11th, which gave me the idea for My Sister Lives on the Mantelpiece. I had one of those real ‘lightbulb’ moments, and the plot fell into my head, almost fully formed. 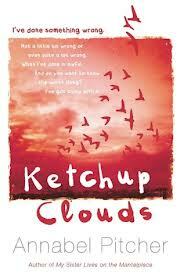 For Ketchup Clouds it was rather different. I knew I wanted to write about love and secrets and guilt, but then I had to work quite hard to come up with the characters and plot in a very deliberate way. I guess some ideas just come to you more complete than others. Who were your favourite authors as a child through to young adult? When I was very little, I couldn’t get enough of Enid Blyton. My favourite series was The Five Find-Outers and Dog, about a group of children who solved mysteries in really rather clever ways (or so it seemed to my eight-year-old self!). After that, I got into Judy Blume books and then I went on to read a set of very cheesy American teen novels called The Making Out Series by Katherine Applegate. I devoured all of them, almost feeling as if the characters were my friends. I felt every heartbreak, every kiss, every moment of triumph as if it were my own. The novel that had the greatest impact on me as a teenager, however, was a poignant coming-of-age tale called The Go-Between by L.P. Hartley. It was the first grown-up book that I had ever read, and I loved every exquisite word of it. It is still my favourite novel now. Did you write lots of stories as a child? If you did, what kind of stories? I certainly did. I was always writing, be it diary entries, poems, stories – anything, really. To be honest, I was more interested in drama when I was a child, so I wrote a lot of scripts for my siblings to perform. I just loved having a pen in my hand and inventing cool stuff. When I was about nine I wrote my first story of any substance. The teacher asked us to write a short story about going back in time to the Victorian era, and I did about forty pages – a lot more than she had asked for. It seemed so long at the time, almost as if I had written The Bible or something, and I was so proud of it. The same thing happened again when I was a teenager. I got really into an English project called Oobi Joobi Island, where you had to write a travel diary about your time on an exotic land, and I wrote over one hundred pages while everyone in the class did about ten. I just couldn’t stop writing, and I’ve been hooked on telling stories ever since. Without question, the hardest bit for me is the beginning. At the start of the novel, anything can happen. You can use any voice, any style, any structure, and that is quite daunting. With so many options, it can be difficult to work out the ‘right’ way to tell the story. By the middle, and certainly by the end, you have made all of those decisions so it’s simply a matter of pulling it together. What kind of environment do you like to write in? Where I like to work, and where I work best, are unfortunately two different things. I absolutely love working in pubs or cafes, preferably somewhere warm with good coffee and a nice fire on the go, but I am very unproductive in these sorts of environments. I get distracted too easily, wondering if I should order something else from the menu or gazing at the cake rather than focusing on my work. As a result, I tend to shut myself off in my study to get things done. I can’t work to music, either, so it’s rather dull. I need to be alone and quiet to concentrate. Do you prefer to hand-write or type first drafts? I like both, but I think it’s easier to type first drafts. A first draft is so messy that it helps to have it on the computer so you can change things easily, knowing that you can go back to the original at the click of a button if needs be. I don’t do it! I work far too slowly to write a novel in a month. I need the time to fiddle and play with ideas. Unfortunately, I am not much of a planner, preferring to feel my way through a story. As a result, I take a few wrong turns along the way, but I need to do that to work out how the story should be told. And last but not least, if you were to give advice to any Young Adults and Teens like me on how to write a book, what would you say? The best advice that I can give is to start writing short stories, perfecting that technique before moving on to novels. When I was a teenager, I wanted to write a book and started several different novels, never getting beyond the first few chapters. It was too daunting, and I ran out of steam after a few thousand words. As a result, I rarely got that lovely feeling of finishing a project, nor the vital practice at structuring a complete piece of work. When I turned my attention to short stories, I learnt so much more. I discovered how to pace a story, how to work on captivating beginnings and satisfying endings, how to reveal plot twists and how quickly to show character development… So, that is what I would recommend. Start small and perfect the skills you need as a novelist in a three-thousand-word story. Then move up to six thousand words. And then progress to twelve thousand, and so on. When you finally attempt a novel, you will have all the techniques and experience that you need to tackle it properly. This entry was posted in Interviews on January 13, 2013 by keithbwalters. 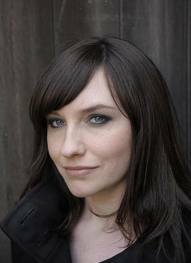 Michelle Harrison is a best-selling, (London Based) author for young adult fiction. 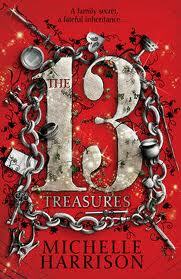 Since she became an author Michelle has written the 3 books in the “13 Treasures” Trilogy. 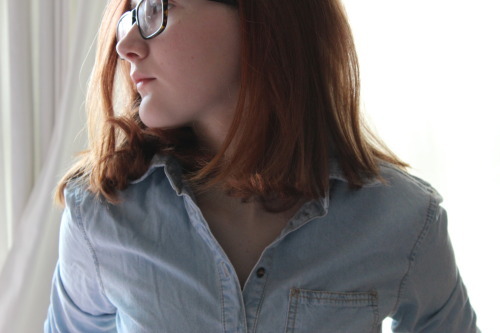 Michelle is currently working on a fab new story entitled ‘unrest’! Georgia: What were your original ambitions at secondary school? Michelle: I spent most of my school years focused in a career of art. Initially, I wanted to be a fine artist of portrait painter. I began writing stories at about the age of fourteen and by the time I left school it was my ambition to be an author and illustrator! What subjects did you enjoy as a child? I enjoyed Art, English, History and P.E. I had always hated maths, but I wish I had tried harder on it now! I loved Enid Blytons ‘famous five’ stories, they were the books that made me into a reader… But, my favourite book was probably ‘the witches’ by Roald Dahl. It’s scary in the best possible way! I’ve worked as a barmaid, an art gallery attendant, and a children’s bookseller for water stones. My most recent job was in the editorial team of a children’s publisher, where I worked for three and a half years! I now write full time. Have you met any other famous authors? Yes, I’ve met Malorie Blackman, Cathy Cassidy, Julia Golding, Marcus Sedgewick and Jacqueline Wilson… Just to name a few! Can you give us a brief introduction as to what your ‘13’ Trilogy is about? The trilogy begins with a girl named Tanya, who has been able to see fairies all her whole life but doesn’t know why. These aren’t the pink, sweet fairies that most of us are familiar with. The fairies in my books can be cruel and cunning and they make Tanya’s life a misery. Each story is contained in itself as Tanya digs deeper into the fairy world. Along the way, she meets Red, a mysterious girl who is on the run and looking for her brother after he was stolen by fairies! I am currently working on a supernatural thriller; titled ‘unrest’. Its aimed to the market of young adults and being released in spring 2012! And finally, do you have any advice for any budding young writers ? 1: Read lots. As much as you can, and as widely as you can. You’ll learn what makes a good story and what doesn’t. 2: Write lots. Start with short stories, or write a diary/blog. Get into the habit of writing-after you’ve written something, rewrite and improve on what you have. Why not try entering competitions to spur you on?! 3: keep at it; overnight successes are extremely rare and most writers get lots of knock-backs before having any luck… You need a thick skin to be a writer! I hope you enjoyed this interview, and from reading this I know you’ll try one of Michelle Harrison’s trilogy! Also, don’t forget to read ‘unrest’, which will be released in spring 2012! This entry was posted in Interviews on November 17, 2011 by keithbwalters.